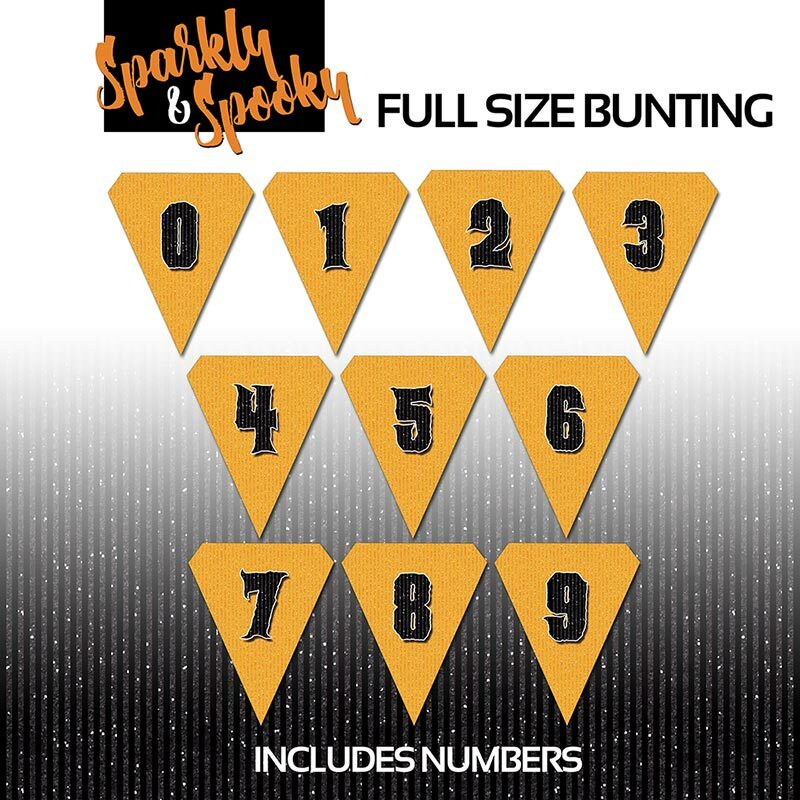 Halloween Bunting in orange glitter stripes with black glitter letters. It includes capital letters plus numbers and symbols so you can customize the perfect party banner for your event. 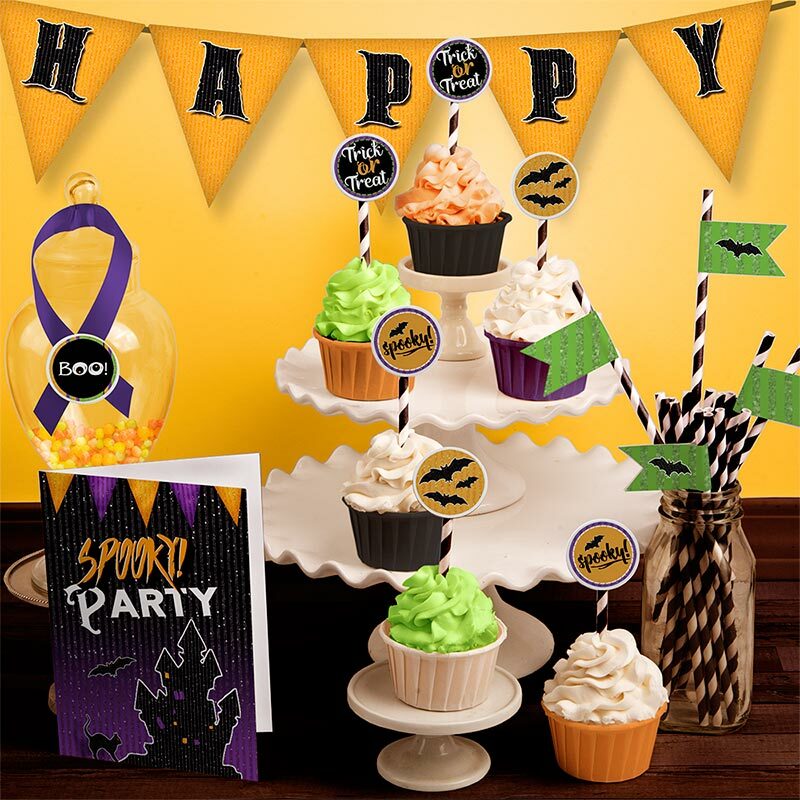 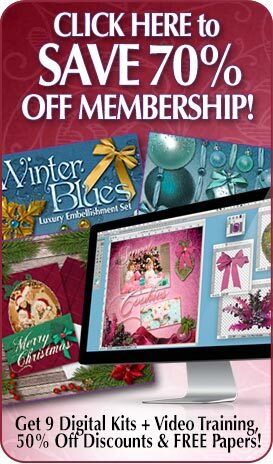 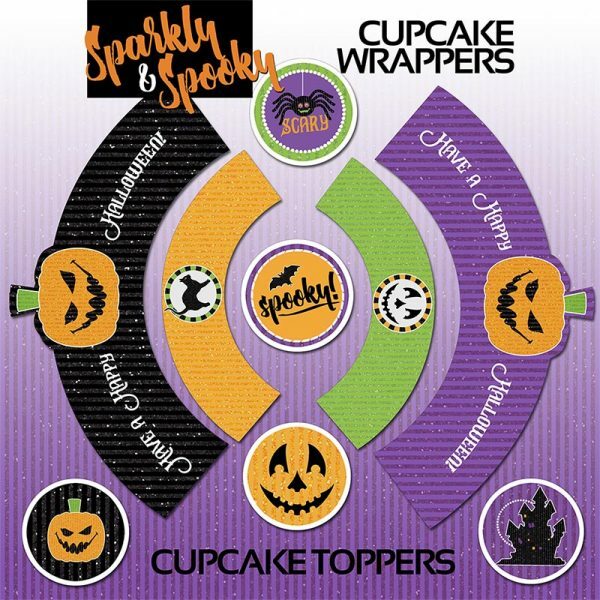 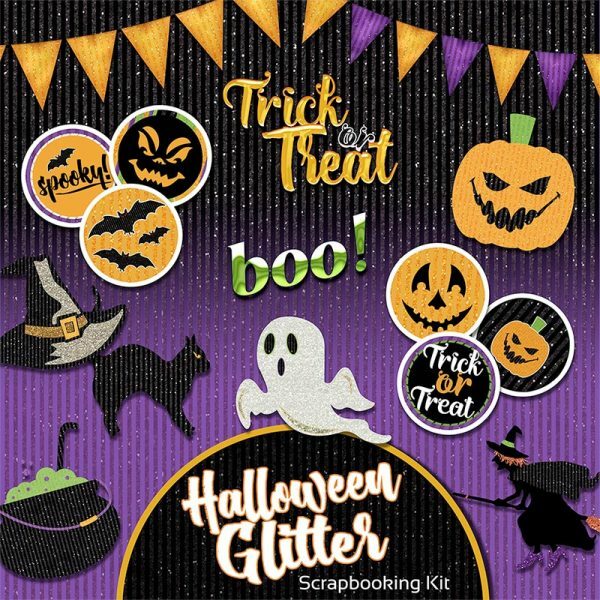 Categories: Halloween & Gothic, Halloween Content Bundle Products, Holiday Collection, Party Printables. 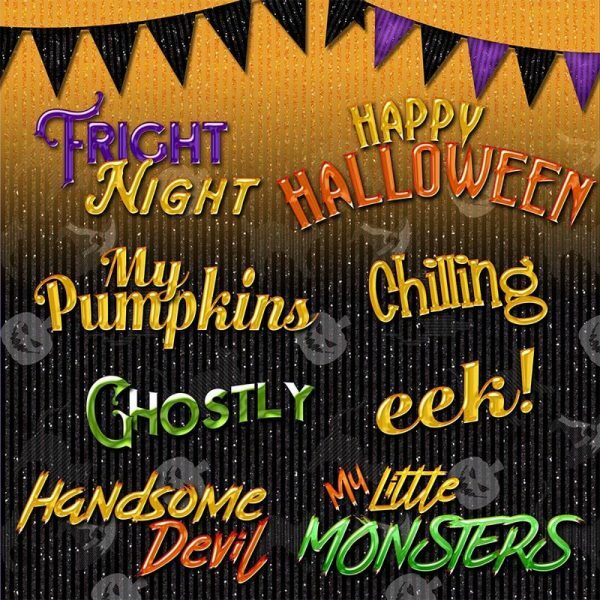 Tags: Autumn & Fall, Gothic, Halloween, Party Printable, Printable Bunting, Printable Paper, Scrapbooking Supplies. 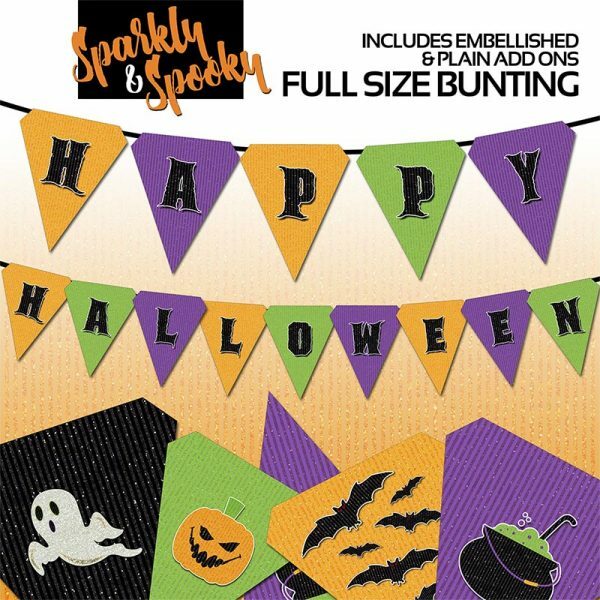 Get Your Party Started with Sparkly Bunting! 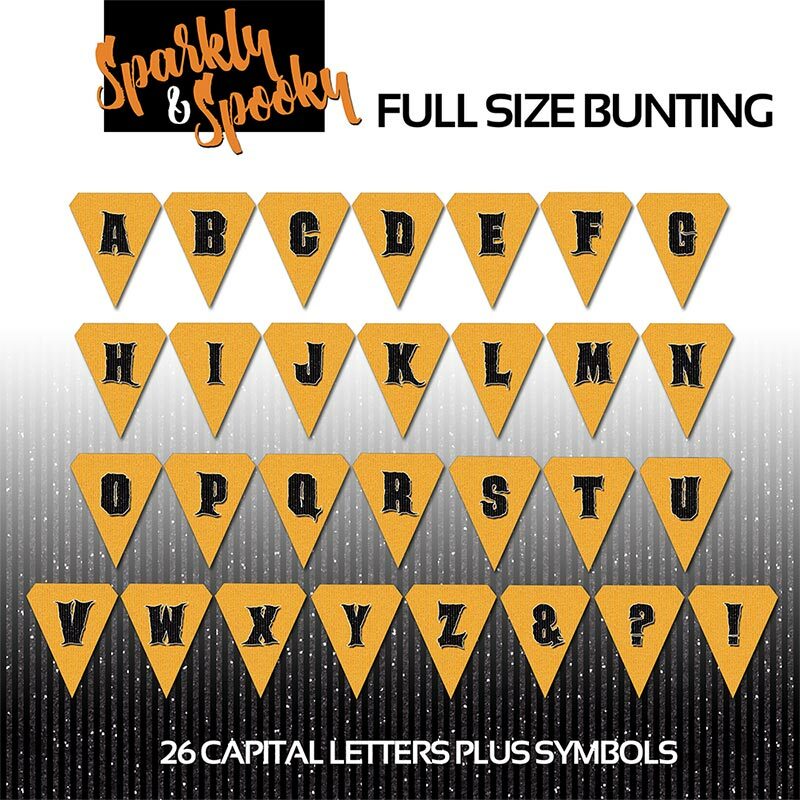 This Halloween Party Printable Bunting Alphabet Bunting is a high-resolution print-quality set of Halloween Bunting in orange glitter stripes with black glitter letters. 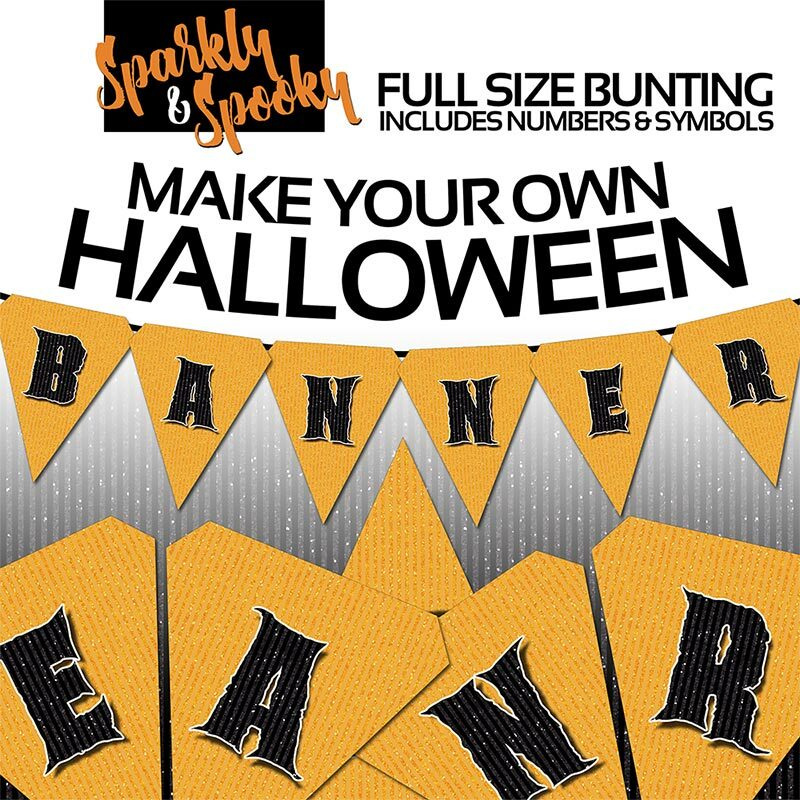 It includes capital letters plus numbers and symbols so you can customize the perfect party banner for your event. 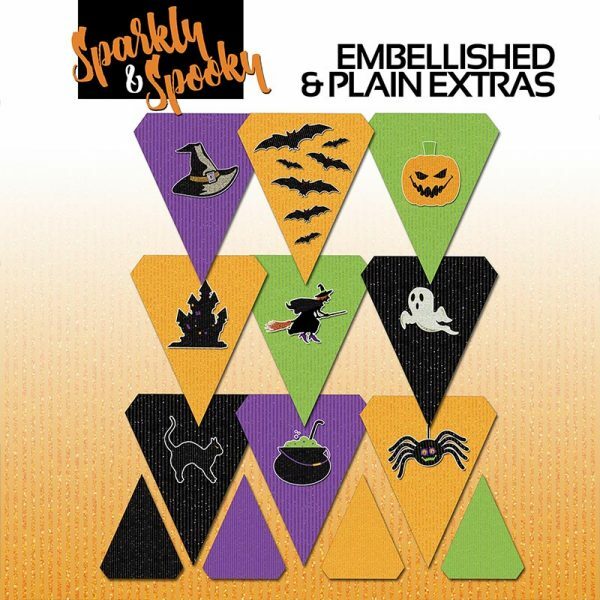 Also great for any event that needs a bit of sparkle and shine!